Persons with Parkinson’s Disease, Alzheimer’s, and Stroke symptoms may also benefit. The healing potency of bee venom is initiated after a sting, when it stimulates the adrenal glands to produce cortisol, a natural human hormone that has anti-inflammatory properties. In addition, BVT jump starts the immune system to produce a healing response through the hypothalamus, pituitary, and adrenal glands, and spurs the production of endorphins, the body’s natural pain killer. The antibacterial and antiviral properties of bee venom make it a unique weapon in fighting bacterial and viral ailments of the central nervous system and elsewhere. Furthermore, recent research with laboratory rats in South Korea has shown that melittin, the primary peptide in bee venom, can block inflammatory genes that are inherent with degenerative diseases such as rheumatoid arthritis. The most remarkable characteristic of bee venom is the presence of the neurotransmitters dopamine, serotonin and norepinephrine, which along with the peptide apamin, facilitate nerve transmission and healing in conditions involving nerve disorders. This gives bee venom the ability to travel along neural pathways from the spine, to various trigger points, and injured areas to help repair nerve damage and restore mobility. Contrary to what is stated on the Internet and elsewhere, you cannot get the complete relief you are seeking for the ailments listed above from topical or ingestible products containing bee venom. In fact, according to Charles Mraz, it is impossible to derive any benefit at all from ingesting bee venom because digestive enzymes will break it down and render it useless. This includes bee venom mixed with other bee products such as honey. Topical creams and ointments with bee venom may offer mild relief for strained and overused muscles, but will not be useful in healing more serious injuries. On the PBS television show Nature, it was reported in the summer of 2005 that venom from a variety of animals has the capacity to kill cancer cells. This would include venom from bees, snakes, spiders, scorpions, gila monsters, sea urchins, and sea coral. Pharmaceutical companies are researching the potential of these venoms as the next generation of cancer fighting drugs. New York-Presbyterian Hospital has completed a Phase II clinical trial using scorpion venom to kill brain cancer cells. Today, the promise of this remedy exists with live honeybees, which can be used to sting malignant tumors close to the skin surface, and make them disappear by killing the cancer cells that feed them. 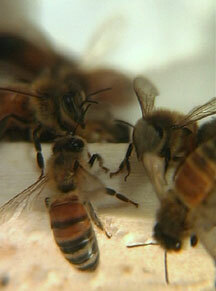 Bee venom can also penetrate the blood-brain barrier. According to the Wall Street Journal, a study recently released by the Whittemore Peterson Institute for Neuro-Immune Disease, the National Cancer Institute, and the Cleveland Clinic found the virus, XMRV, to be linked to chronic fatigue syndrome, some cases of prostate cancer, autism, atypical MS, and fibromyalgia, in the similar way that HIV is associated with AIDS. The antiviral potential of bee venom, along with its ability to travel over neural pathways, may explain why it has been useful in fighting some of these diseases. My mission with BVT is to facilitate believers … not to persuade skeptics. Bee Well Therapy, Inc. is located in Stamford, Connecticut. Please see the contact us page for a FREE phone consultation. 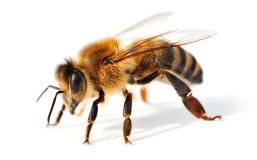 *Bee Venom Therapy is also sometimes referred to as Bee Sting Therapy.